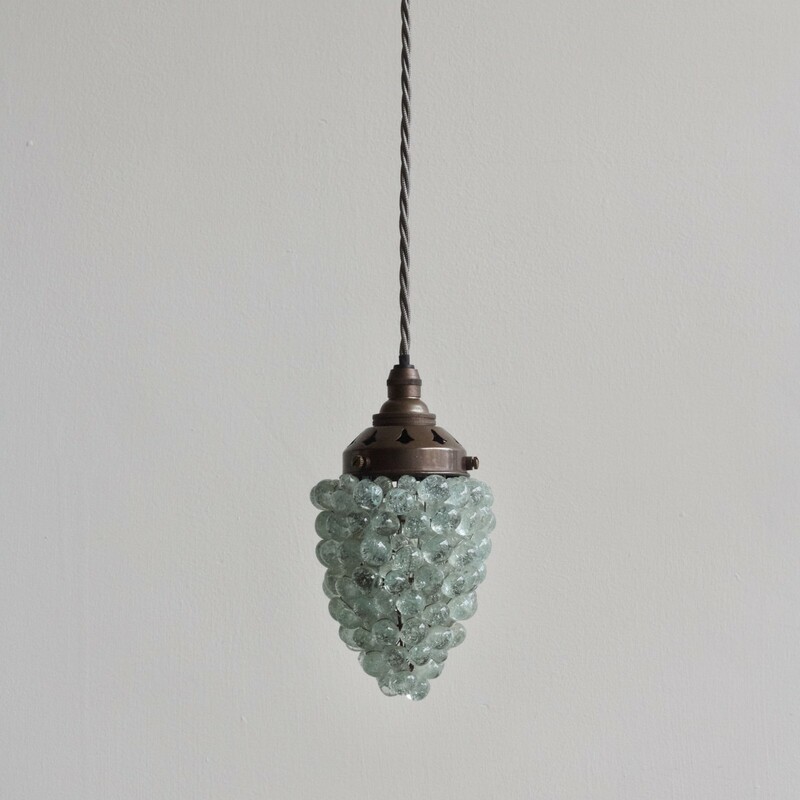 This charming pendant is made from clear glass beads hung on a wire cage. When illuminated the pendant casts a soft dappled light on to nearby surfaces. Wired with an antique brass finish fitting and complimentary grey braided flex.